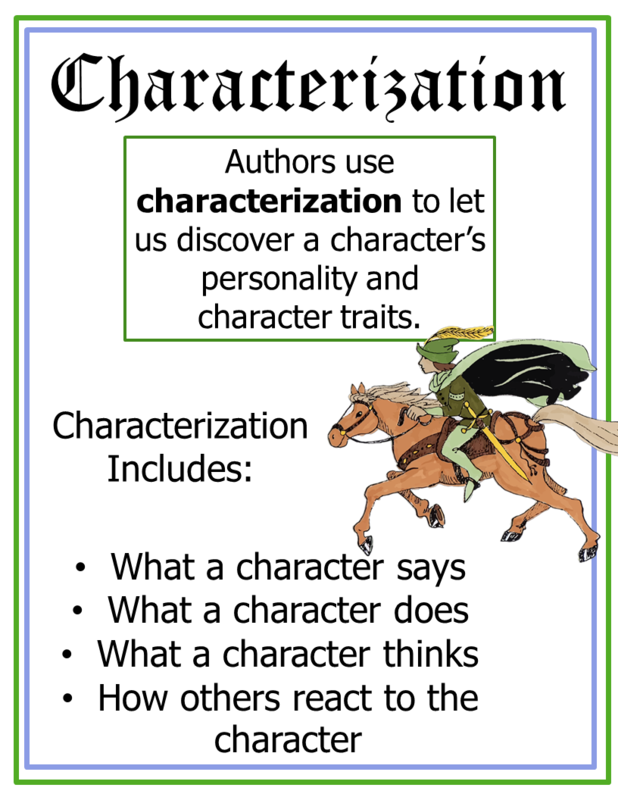 One of the most enjoyable things about being an English teacher is teaching stories. 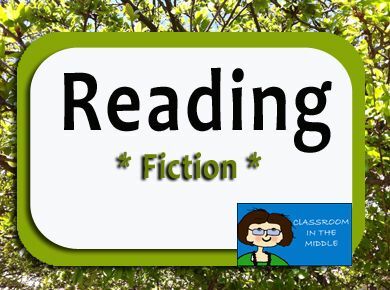 Kids love them, and it’s fun to read new stories with an eye to which ones might work best with your class. 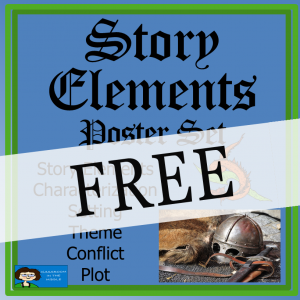 When you introduce kids to story elements and show them how to read closely, it’s great to see the kids getting more and more out of the stories that they read. 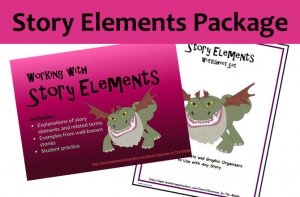 Story days might be seen as sort of a break from school “work,” but they can also be some of the most productive days of your teaching year. 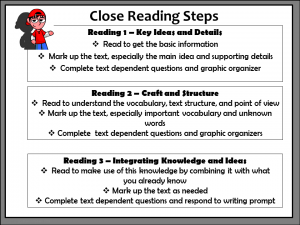 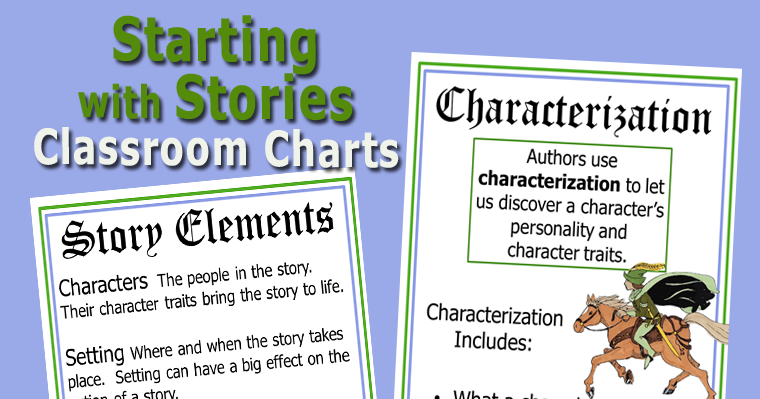 Having charts posted around the room with useful basics such as a description of each story element can come in handy as you work with various stories. 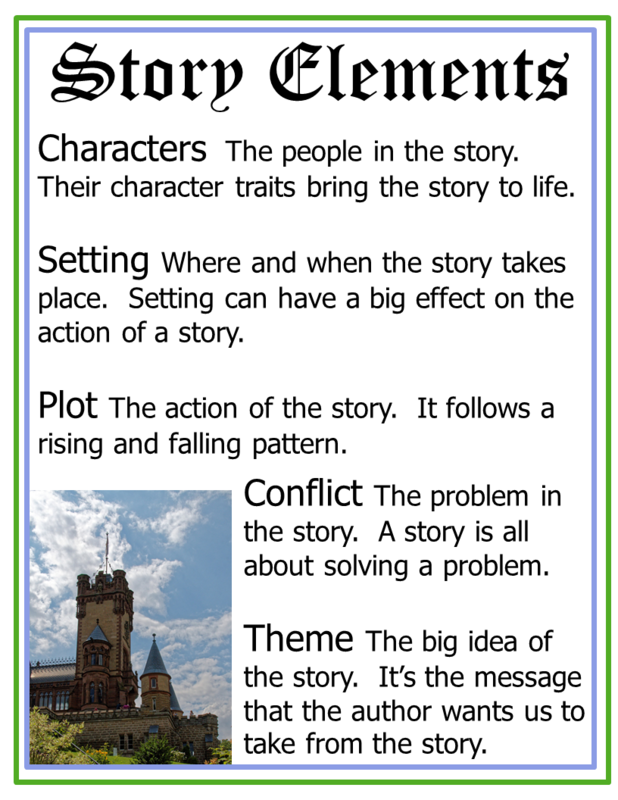 For the upcoming school year, I’ve designed a new chart with descriptions of the basic story elements, and I’m working on a set of charts about individual story elements. 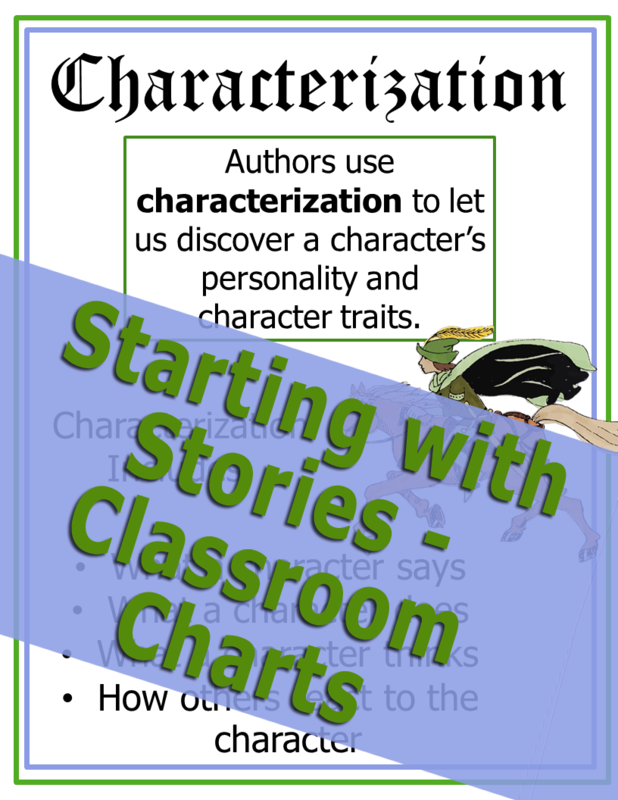 You can download the first two charts here: Story Elements, Characterization, and I plan to follow up with the rest in the weeks to come.